In recent years, small groups of Moroccan Berber activists, particularly younger people, have challenged the enforced silence regarding Israel, expressing an interest in both the state of Israel and Jewish history, including the Holocaust. They even linked this interest to the alleged historic connections between Jews and Berbers in ancient times, including the initial resistance to Arab conquerors by the Kahina, a supposedly Jewish-Berber queen, and the multilayered, more recent relations existing until the mass departure of Jews for Israel in the 1950s and 1960s from Berber villages and towns. The Berber flag represents the pre-Islamic indigenous peoples of North Africa west of the Nile Valley. In pre-Islamic times, there were Christian, Jewish, and polytheist Berbers. Most present-day Berbers are Muslims. How has this extraordinary phenomenon come to pass, and what are its possible consequences? In the past, Berber activists maintained a strict separation between their struggle for political and social rights and the Arab-Israeli conflict even if there were those who quietly admired Israel's achievements. By contrast, some members of the present generation of activists and intellectuals view Israel as a partner in adversity—a vibrant, anti-pan-Arab force mirroring their own opposition to Arab-Islamic hegemony and the subjugation of the Berber language and culture—which could help, however tacitly, in their struggle for official recognition and against Morocco's burgeoning Islamist movement. Notwithstanding Morocco's benign and positive image in the West, polling data in recent years shows considerable support for Islamist and anti-Western positions. While only a small percentage of Moroccans expressed support for al-Qaeda's attacks on U.S. civilians, and 64 percent held a favorable view of the American people, most Moroccans believed that the United States was seeking to weaken Islam and spread Christianity in the region, with 72 percent supporting al-Qaeda's goal to force U.S. withdrawal from Muslim countries. Almost the same number of people believed that the United States or Israel, rather than al-Qaeda, was responsible for the 9/11 attacks, and large majorities approved of attacks on U.S. troops in Iraq, Afghanistan, and the Persian Gulf. In addition, 76 percent of Moroccans favored the imposition of strict Shari'a or Islamic law; 64 percent supported keeping Western values out of Islamic countries; and 61 percent stated that being Muslim was their most important identity as opposed to only 25 percent who declared their Moroccan identity most important. Eight-five percent of people stated that their primary reaction when watching a movie about the Holocaust was resentment over the sympathy that it generated for Israel and Jews at the expense of Palestinians and Arabs; over 50 percent believed that Iran's acquisition of nuclear weapons would be a positive development for the region while only a small percentage thought that the outcome would be negative. This Islamist current, embodied by both the Justice and Development Party (PJD), which accepts the supremacy of the Moroccan monarchy as enshrined in the country's constitution and holds 14 percent of the seats in parliament, as well as the officially banned but grudgingly tolerated Justice and Charity movement, seeks the Islamization of society and, ultimately, of the state. The other side of the ideological divide is comprised of a variety of political parties and civic groups, some with explicitly Western-liberal orientations, others less so. 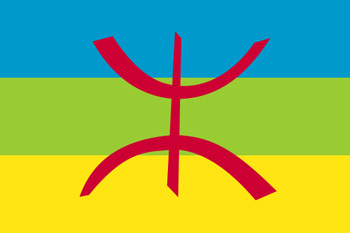 One of them is the Amazigh (literally "free men") or Berber culture movement, which advocates the recognition of the Berber underpinnings of Moroccan culture and calls for remedial steps, including constitutional change, particularly with regard to recognizing their language, Tamazight, as an official state language. An estimated 40-45 percent of Morocco's 32 million-strong population speak one of the three main Berber dialects; in Algeria, the estimated numbers are 20-25 percent; in Libya, 8-9 percent; in Tunisia, 1-5 percent. The Berber component of Moroccan identity has already been given official recognition by the state as it seeks to address at least some of the movement's symbolic and material grievances in order to maintain a balance of forces within the Moroccan political fabric. Islamists and pan-Arabists have repeatedly clashed with Berber activists in recent months, mainly through polemical exchanges in a variety of media outlets. The specifics have varied, but they have had a common theme: Jews and Israel. From the Islamist and pan-Arab perspective, this should come as no surprise. Hostility to Zionism, which all too often has morphed into anti-Semitism and Holocaust belittlement and even denial, has long been instrumental for many opposition groups and Arab regimes seeking to mobilize public opinion. The Berber engagement in the debate, by contrast, is far less self-evident given their past evasion of the Arab-Israeli conflict. Initial indications of these changing attitudes were afforded by the 2007 announcements of plans to create two complementary Berber-Jewish friendship associations in the Souss region of southwestern Morocco, the region where, according to tradition, Jews first settled after the destruction of the First Temple in 586 BCE. Their purpose, said one of the founders, was to promote the various aspects of Morocco's cultural heritage—Berber, Jewish, African, and Arab; disseminate the culture of coexistence and respect of the "other" while rejecting violence and intolerance toward others; give real standing to the Berber and Hebrew languages inside Morocco, in order to make it a homeland for all, and to build bridges with Moroccan Jews, both inside the country (approximately 3,000) and overseas, particularly "Amazigh Jews in various countries." Although support for contacts with Israel was not explicitly expressed, the announcements immediately provoked sharp reactions from a number of Moroccan associations supporting the Palestinian cause and opposing U.S. actions in Iraq. They also prompted a heated debate on Iran's Arabic-language al-Alam television channel between the veteran militant Berber activist Ahmed Adghirni and an Algerian writer hostile to both Israel and North African Jews, whom he claimed were utterly foreign to the region and eager collaborators with French colonialism. One year later, another Berber-Jewish friendship association, "Memoire Collective," was founded, this time in Morocco's northern coastal city of al-Hoceima. Led by Muhammad Moha, the association's declared focus was the need to struggle against anti-Semitism in Morocco as part of the larger need to promote individual rights, tolerance, and democracy. Moha was prompted to create the association in response to attacks by leftist, pan-Arab, and Islamist groups when his daughter and another Moroccan teenager participated in an international youth seminar at Israel's Yad Vashem Holocaust Memorial Museum. The association's creation drew further harsh responses, including the intimidation of the family of the other teenager who had joined Moha's daughter in Jerusalem. Moha was demonstratively expelled from the leftist group to which he had belonged, al-Nahj al-Dimuqrati (Democratic Path), for "crossing all of the party's red lines in contributing to the normalization [of relations] with Israel" while al-Tajdid, the newspaper of the Islamist PJD, even accused Moha of receiving €300,000 from Israel in order to set up the organization and called for acts of violence against him. Israel's military operation against Hamas forces in Gaza in the winter of 2008-09 sparked another round of polemics and mutual invective between Morocco's Islamists and Berber movement figures. A commentator in al-Tajdid castigated Amazigh associations for not joining in the series of demonstrations held in solidarity with the Palestinians, wondering what was behind their failure to condemn Israel. One of the Berber movement's leading intellectuals, Ahmed Asid, replied caustically that no one had the right to question their identification and solidarity with the Palestinians, yet with the Islamist and pan-Arab currents in Morocco having a complete monopoly on organizing the demonstrations, the Berbers had no choice but to avoid them, not least since the protests had contained both anti-Jewish as well as ethnic Arab themes, which the Berber movement completely rejected. In November 2009, Yad Vashem became a more explicit site for Berber activism against the prevailing pan-Arab and Islamist currents in their own society and in the region when an 18-member delegation of the movement's educators and advocates participated in a week-long educational seminar there. One of their declared purposes was to begin incorporating the study of the Holocaust and its lessons into the Moroccan school curriculum, a subject that has been almost entirely neglected. Beyond that, though, it was clear that the visit was designed to openly challenge the conventional taboos regarding contact with Israel. The matter quickly became public knowledge and provoked a number of articles in the Moroccan press, many of them negative. But space was also given to delegation members to defend themselves, an indication of Morocco's increasingly pluralist and competitive press. One of them, Boubker Outaadit, a Berber activist for more than fifteen years, who had been involved in the formation of one of the Berber-Jewish friendship associations, was interviewed by a Moroccan weekly news magazine against the backdrop of the Israeli, Moroccan, and Amazigh flags, a picture that was worth a thousand words. Defending the educational and humanitarian value of the seminar, he declared the participants' readiness to answer those critics who "traded in foreign problems … such as the Palestinian issue," which could not be classified as a Moroccan national problem. The Arab-Israeli conflict, he declared, could have been settled sixty years earlier had the Arab side not rejected the right of the Jewish people to return to their land and defend it. Another, Abdellah Benhssi, justified the delegation's visit in terms of furthering the promotion of tolerance and universal brotherhood and the rejection of fanaticism and racism, universal values which, he said, both the Amazigh and Israeli cultural systems shared. In a lengthy and trenchant analysis, the Moroccan scholar Muhammad Elmedlaoui, who actually deplored what he viewed as the Yad Vashem visit's use of the Holocaust for political purposes, nonetheless characterized the anti-Amazigh diatribes emanating from certain Moroccan urban nationalist circles as constituting an updated version of the older, unfair branding of Berbers as collaborators with French colonialism. These attacks, he said, were essentially an alibi being used to promote a certain cultural vision for the country. Recent months have been marked by a number of incidents that further sharpened the contours of the debate. On March 17-20, a high-profile conference designed to promote the memory and heritage of Moroccan Jewry as part of the larger Moroccan fabric was held in the southern coastal town of Essaouira. One participant was Andrei Azoulay, one of Moroccan Jewry's most prominent figures, an Essaouiran native son and long-time financial adviser to both the late King Hassan and his son, King Muhammad VI. Currently the president of the Anna Lindh Foundation, Azoulay, a self-defined "Arab Jew," has been active for decades in promoting Palestinian rights within the context of overall Arab-Israeli peace. Ten days later, members of the local branch of the Moroccan Association for the Defense of Human Rights (AMDH) organized anti-Israel demonstrations that included a brazen, verbal attack on Azoulay, chanting "Hada Ar, Hada Ar, Khwi l'Blad Ya Mustashar" (Shame, shame. Leave the country, counselor). This was not the first time that the king's adviser had been charged with disloyalty to Morocco: Some months earlier, during the visit of former Israeli foreign minister Tzipi Livni to the Tangier MedDays 2009 conference, Khalid Soufyani, a lawyer and self-promoting president of the National Association for the Resistance in Iraq and Palestine, had declared that Azoulay had to choose between being Moroccan and being "Zionist." Similar slogans were voiced against a local Israeli-Moroccan businessman, Noam Nir, who responded with a letter of complaint to AMDH, which was ignored. Following an additional confrontation in late July, Nir filed a defamation suit against three AMDH officials, accusing the organization of anti-Semitism, particularly in light of the attacks against Azoulay. Further demonstrations were held outside of Nir's restaurant, in which he was accused of espionage and personally threatened, and another round of press attacks on him ensued. AMDH vigorously denied the anti-Semitism charge. However, as is often the case, anti-Zionism and anti-Semitism are easily conflated in the Moroccan discourse, a fact that an AMDH official himself acknowledged to an American journalist. For example, Soufyani has led a number of anti-Israeli protests in which demonstrators chanted "Khaybar Khaybar Ya Yahud, Jaysh Muhammad Sa-ya'ud" (Khaybar, Khaybar, O Jews, Muhammad's army will return), referring to the Qur'an's account of Muhammad's destruction of the Jewish community of Khaybar. And in late May 2010, Soufyani headed up a new organization in Morocco, made up of a cross-section of Islamists and pan-Arabists, which rejected all forms of normalization with Israel and reportedly circulated a black list of some twenty-five Moroccans who supported normalization. The authorities and the Moroccan Jewish leadership adopted a low profile regarding the affair. But Berber activists in the area, some of whom had participated in the visit to Yad Vashem, came to Nir's defense, organizing a small solidarity demonstration in Essaouira and publishing articles in support of his actions and in condemnation of AMDH and its parent political party, the left-of-center Socialist Union of Popular Forces. The Simon Wiesenthal Center also voiced its concern, calling on the governor of Essaouira not to respond to AMDH's calls to halt the judicial proceedings. The coda to this account of the ongoing contestation between Berber activists and their opponents was actually triggered by the author of these lines. In August 2010, the Portuguese Institute of International Relations published an analysis of mine on the prospects and limitations of Israel's relations with the Maghreb states. It included a brief mention of the Berber factor in Morocco and the Maghreb in general, including the affinity among some members of the movement toward Jews and even Israel. It also referred to its primary opponents, the Islamist and pan-Arab currents, for whom rejection of any semblance of normalization with Israel is a sacred principle. This academic analysis was picked up in a wildly distorted form by the pan-Arab and Moroccan media, from al-Jazeera television to al-Quds al-Arabi, and the Istiqlal Party's al-Alam, which announced the existence of an Israeli "plan," drawn up by the Moshe Dayan Center (this author's home institute at Tel Aviv University) to promote Israel's "penetration" of the Maghreb through the manipulation of the Berber movement. The reports touched off yet another round of heated exchanges in the Moroccan press and various Internet talk forums. To its credit, one liberal French-language Moroccan weekly, Actuel, sought me out for a response and printed the full text of my answers to their questions. A special section of the monthly Le Monde Amazigh included the interview, translated into Arabic, along with a number of articles rebuffing the accusation that the Berbers were a tool of the Zionist movement. The real purpose behind the campaign, said Berber activists, was to divert attention from a concurrent damning report by the U.N.'s Committee on the Elimination of Racial Discrimination. Issued on August 25, the committee took the Moroccan state to task for its failure to recognize the Berber language as an official language and called on it to ensure that the Berbers would not be subject to discrimination, particularly in the areas of employment and health services. It also recommended that the state give special attention to the development of Berber-inhabited regions and ensure that Moroccan Berbers have the choice to give Berber names to their children, a long-running issue for the Amazigh movement. However amorphous, the Berber movement's core demand in both Morocco and Algeria is clear-cut: state recognition of the Berber demographic, historical, and cultural underpinnings of North Africa; constitutional recognition of Tamazight as an official language of the state; and remedial economic, social, cultural, and educational measures to begin redressing decades of neglect and injustice. In both countries, the authorities have made some gestures toward the movement with the Moroccan monarchy, in particular, legitimizing Berber culture as an integral part of the Moroccan patrimony even as it tries to contain it within acceptable parameters. Given that the essential parameters of Moroccan political life remain circumscribed, these competing movements are engaged in a kind of para-politics, limited in their capabilities but nonetheless energetically pursuing the reshaping of Moroccan society in their preferred images. It is in this context that the debates regarding Israel, Zionism, and the status of Moroccan Jewry, both past and present, are taking place. However secondary to the main issues facing Morocco, they are clearly hot button subjects for political activists, being useful as a mobilizing tool, especially for the Islamists while Berber militancy has now reached the point where activists are willing and able to verbally give as good as they get. With Morocco's evolution toward greater political openness moving forward, however unevenly, this public dynamic of contention will bear watching. Bruce Maddy-Weitzman is the Marcia Israel Senior Research Fellow at the Moshe Dayan Center for Middle Eastern and African Studies at Tel Aviv University. His book The Berber Identity Movement and the Challenge to North African States will be published by the University of Texas Press in 2011. "Muslims Believe US Seeks to Undermine Islam," WorldPublicOpinion.org, Apr. 24, 2007. Data drawn from a 2007 survey published by worldpublicopinion.org and the University of Maryland/Zogby International 2010 Arab public opinion poll. Al-Alam TV (Tehran), July 21, 2007, trans. Middle East Media Research Institute (MEMRI), Washington, D.C.
 TelQuel, Mar. 3, 2008; "The Past Two Months Were Hell," Jungle Word, Apr. 3, 2008. Hassan Bouikhf, in al-Tajdid (Rabat), Jan. 15, 2009; Ahmed Asid, in Bayan al-Yawm (Casablanca), Jan. 23, 2009, quoted in "Berbers, Where Do You Stand on Palestine?" MEMRI, Special Dispatch no. 2262, Feb. 26, 2009. Arièle Nahmias, "Moroccan Educators at Yad Vashem," International School for Holocaust Studies, Yad Vashem, Jerusalem, Jan. 2010. Maghrib al-Yawm (Casablanca), Nov. 27, 2009. Al-Watan al-An (Casablanca), Oct. 25, 2010. Muhammad Elmedlaoui, "Al-Karru Ba'da al-Farru Fi al-Masalat ath-Thaqafa al-Amazighiyya fi al-Maghrib," Ahewar.com, Oct. 27, 2010. See interview with Azoulay, al-Mushahid al-Maghribi (Casablanca), Nov. 12-25, 2010. AHN Global News Agency (Washington, D.C.), Aug. 26, 2010. "Wiesenthal Center Urges Moroccan Authorities to Act against Antisemitic Insults, Threats, and Intimidation ," Simon Wiesenthal Center, Los Angeles, Aug. 19, 2010. Bruce Maddy-Weitzman, "The Limits and Potential of Israel-Maghreb Relations," IPRIS Maghreb Review, July 2010, pp. 15-8. Sept. 5, 7, 8, 2010. "Israel ne soutient pas les Amazighs," Actuel, Sept. 18-24, 2010, pp. 47-8. Related Topics: Israel & Zionism, North Africa | Bruce Maddy-Weitzman | Winter 2011 MEQ receive the latest by email: subscribe to the free mef mailing list This text may be reposted or forwarded so long as it is presented as an integral whole with complete and accurate information provided about its author, date, place of publication, and original URL.